The last thing most people think about on a daily basis is who they are going to call if their oven stops working. After all, there are so many other things in life that require the full extent of the thought process. The problem is no one knows when the oven will malfunction and it is better to be prepared than not. 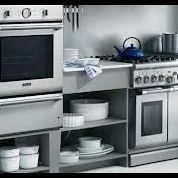 At Appliances Repair White Rock we provide impeccable oven service options to the residential and commercial communities. We are the specialists in this service field. Our experts excel at a wide array of oven installation options. We will install standard electric, convection and gas ovens for homes and businesses in White Rock, BC. In addition, we provide quality built in oven installation services as well. We always recommend that our expert technicians be called to install new oven appliances to ensure the right connections have been established properly. It this process is not provided correctly the unit may not function properly and it could present a dangerous situation. We will provide Oven Repair in White Rock, BC for all major brands. The problems that occur with most of these appliances are quite easy to detect if the proper troubleshooting skills are in place. In many situations the oven repairs needed are simple and easy to provide. Although some of the issues may vary from the electric oven to gas oven repair, some of the issues can be similar. Often the unit is simply not getting power because of a bad breaker, fuses or damaged plug, but when these are not the culprits we dig deeper. Oven heating elements for broilers and baking often burn out and need to be replaced. There can be wiring issues and bad thermostat switches as well. Whatever the issue is White Rock Appliances Repair will find the issue and resolve it. We also provide microwave oven repair for those who request it.